Florence + The Machine Drops "Moderation" & "Haunted House"
From 'High As Hope' to 'Bloom,' here's our list of the 25 best albums of 2018. Florence + The Machine would be forgiven for resting on their laurels after a banner 2018. The band’s fourth LP, High As Hope, peaked at number two in the US and UK, and was featured on most End Of Year lists including our own. Instead of taking a well-earned break or squeezing their existing album more singles, they have blessed us with two new songs. The focus track is “Moderation,” a song that Florence + The Machine has been performing in live sets. In many ways it’s the antithesis of the stripped-back, intimate sound of High As Hope. Produced by James Ford, “Moderation” is a rollicking stadium-rock anthem with significant commercial appeal. “Want me to love you in moderation, do I look moderate to you?” Ms Welch asks in the opening verse. “Sip it slowly and pay attention, I just have to see it through.” The song really takes off on the chant-along chorus. “You think you need it, you think you want love,” she howls. “You wouldn’t want it if you knew what it was.” As for “Haunted House”? It’s a pretty, stripped-back ballad that never outstays its welcome. 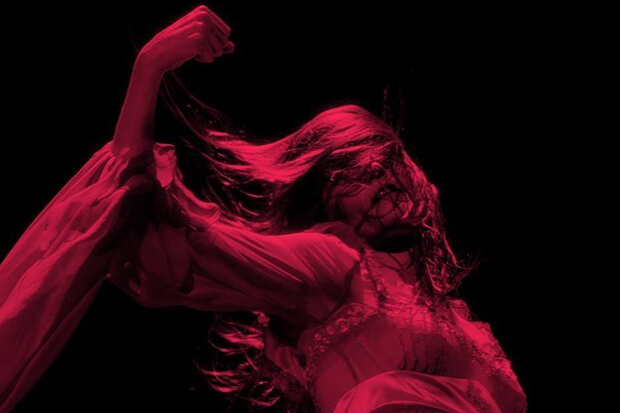 Listen to Florence’s typically brilliant new singles below.